Phantom rules! It remains as fresh and spectacular as ever. Andrew Lloyd Webber's score has a visceral tug more than almost any score written in the past 20 years. 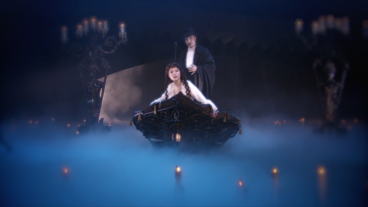 Beautiful and romantic, I have to tip my hat: The Phantom of the Opera has aged divinely. Phantom still delivers the goods! Judging by sheer invention, emotional punch and onstage talent, the venerable blockbuster still beats out almost all of the shippersnappers currently on Broadway. Maria Bjornson's flamboyant gothic design and Harold Prince's fantastical staging still have the gleam of finely polished professionalism. What’s The Phantom of the Opera Like? 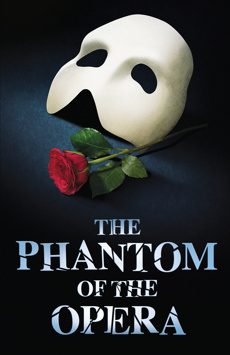 Both romantic and scary, The Phantom of the Opera is a thrilling night of theater with grand emotions. Andrew Lloyd Webber’s score, with its beloved signature song “Music of the Night,” sets the mood, but you may also find yourself humming the gorgeous period costumes and simple yet grand sets (even the famous chandelier, which probably falls slower than you’d expect, is a thrill). Is The Phantom of the Opera Good for Kids? Grand opera and lush romance might not be their cup of tea. And the Phantom is a frightening guy. There are old-fashioned scare moments throughout—a dead corpse plunging from a noose, shrieking-for-their-lives ballerinas, that disfigured face... Such sights will either send your kid burying their face in your arm or thinking it’s the coolest show in town.